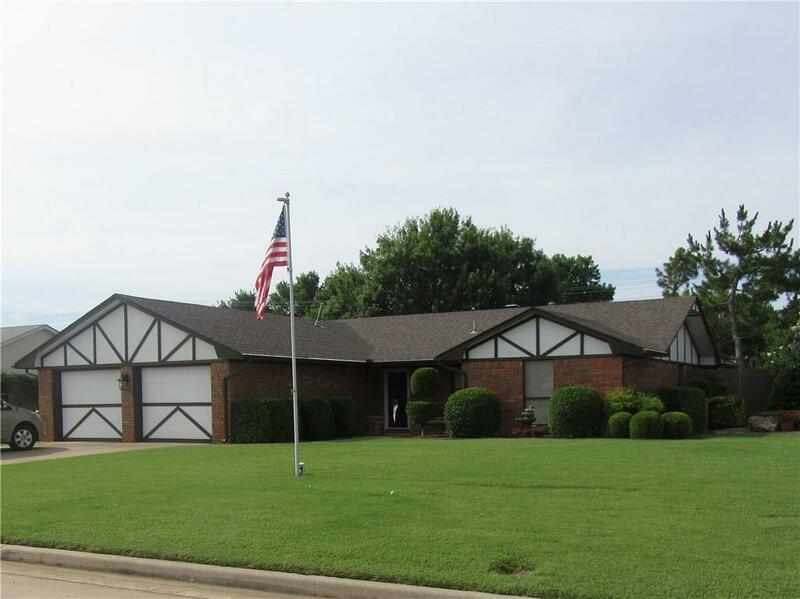 1520 Queens Court, Altus, OK.| MLS# 846202 | CENTURY 21 Altus Prestige Realty, Inc.
Lg open living room with gas logs in wood burning fireplace, built-in cabinets & shelves, ceiling fan, canned lighting & sliding glass door to covered patio. Formal dining room. Kitchen has solid surface counters, tiled back-splash & new hardware. Kitchen faucet/sprayer combo, garbage disposal, elec. built in oven, dishwasher, refrigerator & cook top with downdraft in a large kitchen island that has a light fixture above. Eating bar on island. Microwave, lg. pantry, some sliding shelves. Recent carpet excellent condition. Two baths w/tub showers & heater/vent fans. Hall has coat closet & linen closet. All bedrooms have walk in closets & ceiling fans. One bedroom has wood floor & can be used as an office. Patio has fan ceiling fan, shop with electric & workbench. . Wood privacy fence on concrete runners. Thermopane windows, leaded glass front door, storm door, covered front porch. Insulated garage doors with electric openers, workbench, peg board, storage & shelves. Landscaped.